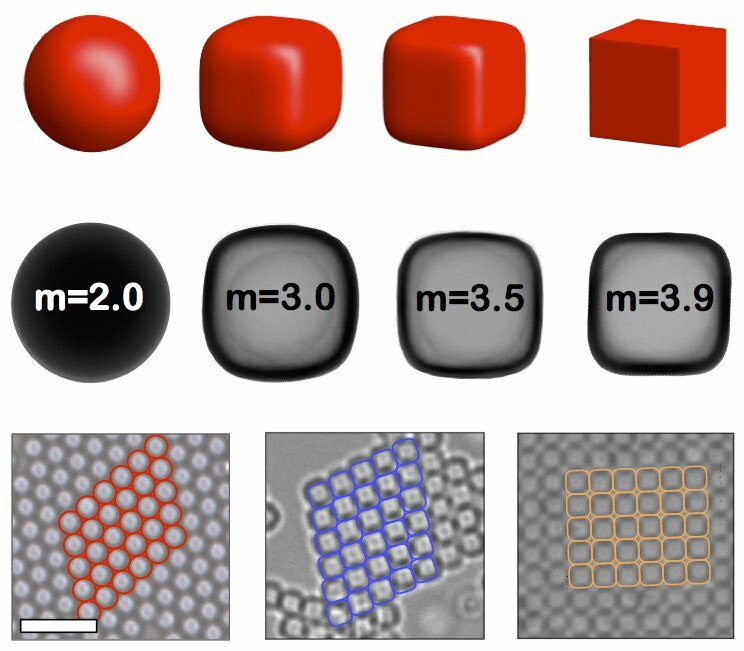 Anisotropy plays a key role in colloidal self-assembly, it is therefore important to design colloidal building blocks able to bind through highly directional interactions. We have recently shown that magnetic hematite particles embedded into polymer spheres can be effectively used as “magnetic patches” promoting asymmetric directional interactions between the spheres. In my NWO Veni project, I will design and prepare magnetic colloids with directional and selective interactions using an innovative combination of wet chemistry and photolithography. Sacanna, S., Rossi, L., & Pine, D. J. (2012). Magnetic Click Colloidal Assembly. Journal of the American Chemical Society, 134(14), 6112–6115. Guiding the self-assembly of materials by controlling the shape of the individual particle constituents is a powerful approach to material design. In this work we have shown that colloidal silica superballs crystallize into a variety of ordered phases when depletant objects induce an attraction between the colloids. The differences in these entropically stabilized structures are driven by minute deviations of the particle shape and are uniquely determined by an interplay between the size of depletants and the fine structure of the superball shape. The use of depletant size to leverage fine features of the shape of particles in driving their self-assembly demonstrates a general and powerful mechanism for engineering novel materials. Rossi, L., Soni, V., Ashton, D. J., Pine, D. J., Philipse, A. P., Chaikin, P. M., et al. (2015). Shape-sensitive crystallization in colloidal superball fluids. Proceedings of the National Academy of Sciences, 112(17), 5286–5290. Chirality is a fundamental aspect of many processes in chemistry and biology and studying the interaction of chiral colloidal particles could allow further understanding of those processes. We have applied a top-down lithographic technique for the preparation of simple 2D chiral polygonal colloids with parallelogram shapes. 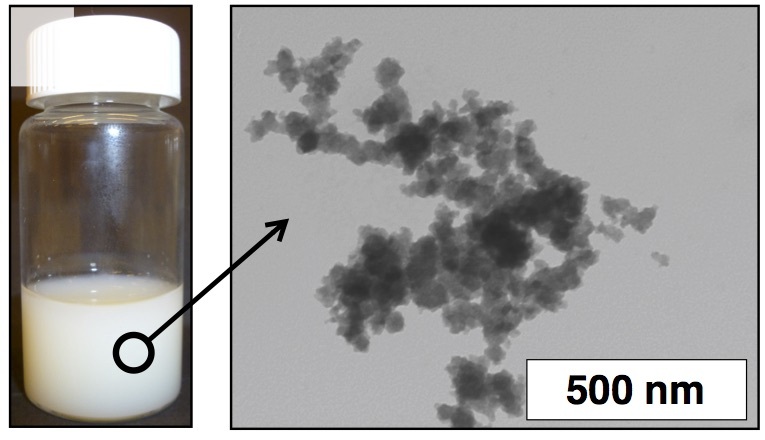 We used these microscale colloids for the systematic study of entropic interaction between chiral particles. As in molecular systems, we can identify two enantiomers (+) and (-) and we can control their relative ratios by means of roughness controlled depletion attraction. We were therefore able to prepare and study the phase behavior of enantiopure samples. Rossi, L., & Mason, T. G. (2015). Controlling enantiomeric populations in fluctuating Brownian monolayers of chiral colloids. Soft Matter, 11(12), 2461–2468. Despite its importance, the fracture of materials, especially the regime of slow, plastic fracture remains poorly understood. 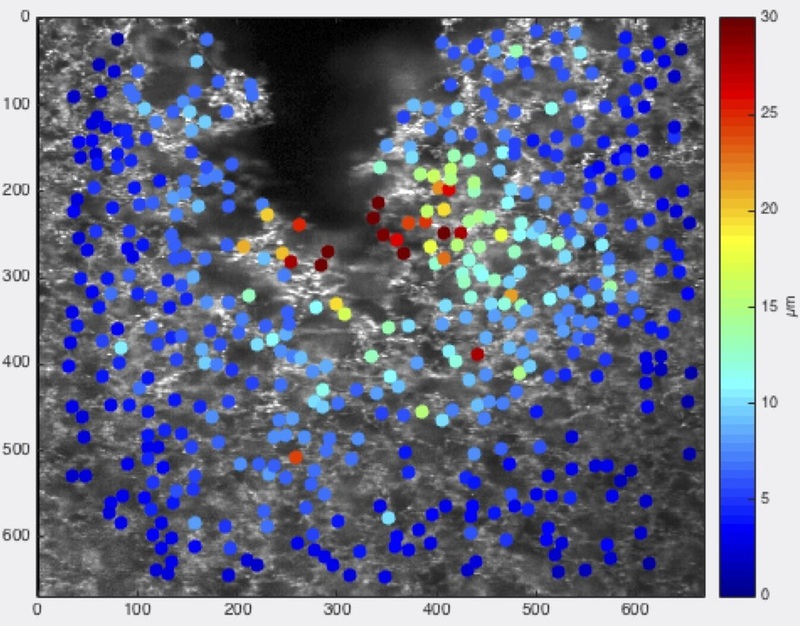 This is especially true in amorphous materials, where local inhomogeneities and structural disorder are crucial to determine the mode of failure, yet they cannot be modeled with classical homogenization methods. We use new attractive colloidal systems to study fracture at time and length scales much longer than in molecular systems. In this specific project, we focus on gels made of fluorescent pNipam microgel particles aggregated via critical Casimir interactions, to analyze, at the microscopic level, nonlinear and dissipative processes in the material ahead of the propagating crack tip. The growing demand for functional foods enriched with micronutrients and nutraceuticals is largely driven by the increasing knowledge of the relationship between food ingredients and their impact on human health and physiological functions. As a result, there is a growing demand for novel functional foods. In collaboration with Unilever we developed novel colloidal delivery systems with complex morphology that allow the control over the color, morphology, stability and product compatibility. Rossi, L., Velikov, K. P., & Philipse, A. P. (2014). Colloidal iron(III) pyrophosphate particles. Food Chemistry, 151(C), 243–247. Rossi, L., Hoorn, ten, J. W. M. S., Melnikov, S. M., & Velikov, K. P. (2010). Colloidal phytosterols: synthesis, characterization and bioaccessibility. Soft Matter, 6(5), 928–936.